The first episode of Downton Abbey was watched by over 8.1 million viewers last Sunday. The latest instalment of the hit drama series promises lots of changes, even more secrets and jaw dropping drama. Series 5 starts in 1924 and ITV have hinted that times are changing with the talk of a new labour prime minister, much more to see of Sybbie and George, tensions between Baxter and Thomas to reach new heights and even more witty one-liners. 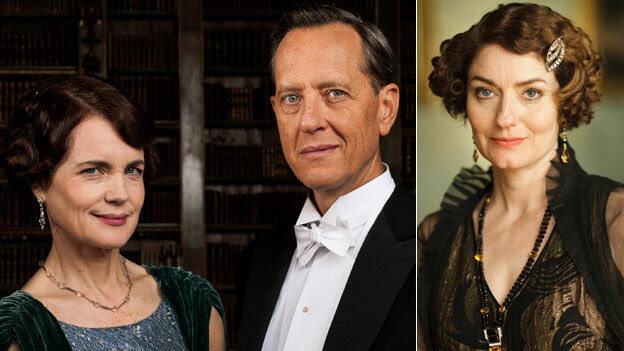 New actors to join the series include Richard E Grant, who joins the cast as Simon Bricker, one of the guests of the Grantham family. Anna Chancellor also joins in a guest role, playing Lady Anstruther, while 24 actor Rade Sherbedgia plays a Russian refugee. Don’t miss out on all the action – Watch Downton Abbey abroad live on ITV this Sunday at 9pm UK time or catchup on the last episode on ITV player via your WatchUKTVAbroad.net connection.